I seems a bit odd that the rock “super group” is a rarity. One would think that the very best musicians getting together to reach the highest levels of musical creation and performance would be a common event. But music is not a competitive experience like basketball which has provided us the Olympics basketball Dream Team, or the 2010 Miami Heat with LeBron James, Dwayne Wade and Chris Bosh, or the Los Angeles Lakers with West, Baylor and Chamberlain — where such assembling of talent is done for the purpose of winning a championship or to secure a gold medal against an already competitive field. Often a given musician’s artistic vision is quite different than another’s and assembling a group of highly talented musicians usually only produces successful results when their individual musical visions align. Furthermore, assembling a group that lasts for multiple years is very different than a few of the best musicians getting together for after-hours jam sessions or (more formally) for a single recording session. One-time or even sporadic, repeated formations of super groups does occur more frequently in jazz, as occurred on June 6, 1950 when Charlie Parker, Dizzy Gillespie, Thelonious Monk, and Buddy Rich were brought together to record a handful of tracks or for a single or a short series of radio broadcasts as the May 15 & 16, 1950 broadcasts from Birdland which featured Charlie Parker, Fats Navarro, Bud Powell, Curly Russell and Art Blakey — or in 1947 where there were multiple sessions which provided short-lived combinations of Parker, Gillespie, Max Roach, Ray Brown and Lennie Tristano. In 1945, a young, and initially less than all-star version of Miles Davis teamed up with Charlie Parker, and the two played on and off together, sometimes with other all-star level musicians like with the two tracks recorded at Birdland on May 23, 1953 where Parker and a now truly stellar Miles Davis played with Dizzy Gillespie. But this can be put in better context by noting that for one evening, that night before, on May 22, 1953, Charlie Parker, Bud Powell, Charles Mingus and Art Taylor had played together at Birdland with three tracks broadcasted on radio. The uniting of such talent was much like the uniting of all-stars for a professional sports all-star game — it was not the same as assembling a team of players that would play together night after night and record together session after session. Later, starting in the late sixties, there would be more monetary incentive for supergroups to come and stay together — but for jazz players of the first half of the twentieth century, making a living was tough, and this financial challenge played a part in players staying with a band or group as long as they were being paid, signing whatever contract was offered, or in players looking for any gig they could get that would provide extra income. However, as musicians started to earn more money, and as the long playing record served as means of moving beyond the three-minute single, there was also more opportunity for visionaries like Charles Mingus or Miles Davis to break away from providing the public a collection of unrelated tunes to providing a substantial unified product: a work of art. This often meant that there was one visionary driving their own inspirations forward by partnering with others that had bought into that vision. Sometimes that was simply the producer bringing in talented musicians to back a Billie Holiday or Ellie Fitzgerald, sometimes that meant a strong personality like Charles Mingus acting like a commanding officer or a business manager, encouraging and sometimes demanding, or Ray Davies taking a lead role in the Kinks, or sometimes that meant a group of like-minded individuals, whether led by one member in the group, or a producer, or effectively collectively working together, sometimes with dissension or disputes, cooperating and collaborating just enough to bring out an album that resonated with enough of the public to provide the opportunity to put out another. So its perhaps understandable why rock super groups are as rare as they are with the first attempts, like Eric Clapton’s Powerhouse, being intentionally short experiments, and the first true super group, Cream, formed in 1966, being the only such super group brought together in the 1960s that lasted more than a single album until David Crosby, Stephen Stills and Graham Nash formed Crosby, Stills and Nash in 1969. By their second album, Cream was in full stride; their third album, “Wheels of Fire”, a double LP released on Aug 9, 1968, offers additional enduring studio tracks on the first LP, and live performances on the second. The album starts of with “White Room”, which at the time, was the coolest song any band had come up with since “Strawberry Fields.” It combines elements of psychedelic and early heavy metal, with an overall middle-eastern, exotic character assisted by the 5/4 introduction, the generally modal melody and supporting harmonies, and the added violas and overdubbed guitar-work. Though the album has its weak points (“Pressed Rat and Warthog” and a marginally interesting second side of live material), its strengths are far more abundant. On the first side of the live LP, Cream’s simplified, yet totally transformed version of Robert Johnson’s “Cross Road Blues”, drives forward with relentless energy and primal appeal and the second track, Cream’s innovative re-sculpting of Willie Dixon’s “Spoonful” foreshadows some of the elements found in Black Sabbath’s very first album, recorded a year after “Wheel’s of Fire” had reached the number 3 position on the UK album chart and the number 1 position on the US album chart. Ginger Baker is an unstoppable force on drums and percussion, providing moments of classical-influenced composition, Jack Bruce continues to establish the foundation for future progressive rock and heavy metal bass players, also providing the strongest compositions on the album, and Eric Clapton’s guitar work continues to be inventive and, on the first side of the live LP, narcotically spellbinding. This was the first super rock trio, establishing the high level of compositional and instrumental quality that would be expected for upcoming prog and heavy metal trios, quartets, and quintets, providing considerable evidence that these three artists were truly the first major rock group for both of those genres. One of the unexpected success stories of 1968 was Al Kooper’s project to record a jam-session album with Electric Flag guitarist Mike Bloomfield who Kooper had previously partnered with on Dylan’s Highway 61 Revisited. Kooper booked studio time in Los Angeles for two consecutive days in May 1968 adding keyboardist Barry Goldberg and bassist Harvey Brooks, also members of the Electric Flag. All was set and the first session went well, with basic jam material on which participants performed as expected and Al Kooper taking on vocal responsibilities. At the end of the day, with just enough material for the first side of the planned album, the participants crashed at the house Kooper had rented, but when Kooper got up that morning, he found a note from Bloomfield indicating he had not slept well that night and had gone home. The departure, and the corresponding reality, was soon confirmed when Kooper received a call from a female friend of Bloomfield that inquired if Mike had made his plane and if she should pick him up at the San Francisco Airport. Kooper than made phone calls to any California area guitarist he could think of including Jerry Garcia of the Grateful Dead, Randy California of Spirit and Stephen Stills, who had just left Buffalo Springfield. Fortunately, Kooper eventually received a return call from Stills, who was able to join for that second session. There was a problem, still. Stephen Stills was still under contract to Atlantic and, though it was very likely that Atlantic would grant permission for Stills to be just another instrumentalist in a jam album, this approval would be much less likely if Stills was the lead singer. Despite Kooper preferring to have Stills singing lead, he could not risk the opportunity of completing his envisioned project that evening, so as with the day before, Kooper again was the featured vocalist. When Stills arrived the musicians huddled to identify what songs they all knew, ran through them briefly and then recorded what would become the second side of the album, finishing at two in the morning. Kooper flew back to New York City the next day, and began final editing, including splicing together parts of two takes of Donovan’s “Season of the Witch” (note the tempo changes in the consolidated final version.) While back in L.A., during additional engineering and dubbing horn parts into the original recordings, Kooper was asked for his input in naming the album. Since he had no particular title in mind for the finished LP, it was christened “Super Sessions” by Bruce Lundvall, one of Columbia marketing executives. With total production costs of less than $20,000, the album was released to a receptive public on July 22, 1968, who sent the album climbing up the charts, peaking at the number twelve spot. Kooper was amazed at the commercial success of his project. From the very first day, the album was popular, soon reaching the number 12 position on the U.S. album charts. And though credit needs to go to Mike Bloomfield for providing some of his highly quality studio work in his tragically short career, to Stills, to the other musicians, this is primarily Kooper’s album, including his quality editing and mixing and his partnership with arranger Joe Scott on the added horns, which add appropriate variety and substance into the original recordings. Kooper then remixed the sessions around 2002 or 2003, using the current 24 bit technology, providing better clarity and separation of the individual musicians, further enhancing Kooper’s original effort of creating an album similar to the jazz albums he grew up listening to, where talented musicians together to create improvised music much like they would perform for their own pleasure when they were by themselves in an empty studio or someone’s den, living room or garage. Some point to this as being the first super group, but Stills and Bloomfield recorded separately, and there was no intent for these three to ever be together (Stills was a fortuitous replacement for an AWOL Bloomfield) — and there was no intent for further recordings or any live performances. Though I would like to say this critical and commercial success resulted in a flurry of other such efforts, this really was not the case. The very next example of an LP of similar rock improvisation, is the third LP of George Harrison’s “All Things Must Pass”, released in late 1970. Are there other examples you can think of before that 1970’s “Apple Jam” LP — even before Kooper’s Super Session LP? Please post your comments and thoughts, as very interested in not only examples from the 1960s, but afterwards. 2017 is soon coming to a close, and so must our fifty year anniversary reflection on 1967. If we had started these posts earlier in 1967, instead of starting mid-year, we could have highlighted many more albums. Those we chose were personal favorites. Some of those not included are also worth noting. Warner Brothers Records hired Van Dyke Parks with high hopes based on his previous work with Harper’s Bizarre, The Byrds, Tim Buckley, and Paul Revere & the Raiders, and then spared no costs for Parks to record his album — racking up session hours and using a full orchestra. When “Song Cycle” was played for the president of Warner Bros. Records, his reaction was apparent confusion: “Song Cycle? Okay — where are the songs, then?” The label didn’t release the album until December 1967, a year after it was recorded, until, as the story goes, Jac Holzman of Elektra records offered to buy if from Warner Bros. Once released, it’s sales where less than expected, and prompted Warner Bros. to run full page newspaper and magazine advertisements that said they “lost $35,509 on ‘the album of the year’ (dammit)” and offered owners of the album the chance to send in their worn-out LPs of “Song Cycle” in exchange for two new copies, so one could be passed on to a friend. Harry Nilsson authors his second album, Pandemonium Shadow Show, originally intended to be titled after Ray Bradbury’s “Something Wicked This Way Comes”, which is a mix of Nilsson songs and several covers including two Lennon/McCartney songs. Nilsson’s droll lyrics and musical arrangements provide character to a well-executed and produced album. The album includes the definitive version of Nilsson’s “Without Her”, sparsely arranged with flute, electric bass, strummed guitar and cello. The album fared better in Canada then in the US, eventually catching the attention of Beatles publicist Derek Taylor who sent copies to the Beatles. Purportedly, John Lennon listened to the album over and over again, playing it back to back for a total of 36 consecutive hours. 1967 provided the release of two Bob Dylan albums, Dylan’s eighth studio album “John Wesley Harding”, an album filled with songs that appear were written first as poetry and then Dylan added music to them, and a greatest hits album compiling classic Dylan songs from his first seven albums. For many of us, born between 1954 and 1960 this was our first exposure to Dylan besides what was played on AM radio. Also for many of us born in that mid to late fifties time frame, the great North American singer songwriter of our time was not American Bob Dylan, but Canadian Roberta Joan “Joni” Mitchell. At this time, Joni had not recorded an album but, after moving to the U.S. and performing in various clubs, was gaining attention from these performances and in several of her songs that more established artists recorded. The most notable 1967 Joni Mitchell song, was recorded by Judy Collins on her 1967 album Wildflowers album (released in 1968.) This song, “Both Sides Now”, would reach #8 on the U.S. pop singles, making it Judy Collins biggest hit and being the most contributing fact to the Wildflowers album peaking at the number 5 best selling album on December 1968. Recorded in 1966 and early 1967 the Deram label releases Cat Stevens’ first album, Matthew and Son. The album makes the UK Top 10, and has several successful singles. Later that year, Stevens records New Masters which is released in December 1967, and sells significantly less copies than the first album. Also in 1967, Tim Buckley released his second album, his most popular and generally most acclaimed album, Goodbye and Hello. Tim Hardin released his second album, simply titled Tim Hardin 2. Leonard Cohen’s releases his first album, the captivating and engaging Songs of Leonard Cohen, after Judy Collins’ recording of his song “Suzanne” brought Cohen to the attention of legendary record producer John Hammond. Cohen’s debut album begins with “Suzanne” and includes several fairly profound songs like “The Stranger Song”, “Sisters of Mercy”, and “Stories of the Street” as well as the well known “So Long, Marianne” referencing his close companion, Marianne Ihlen. The Beach Boys release two excellent albums, Smiley Smile and Wild Honey. Pretty Things releases their distinctly interesting, and accessible “Emotions” album, full of life and musical vibrancy with brass instruments adding further energy. Recorded in late 1966, and early 1967, it did not sell well, perhaps this was a result of ineffective distribution or marketing or perhaps the album was a bit ahead of its time, sounding more like it was recorded in 1968 or early 1969. The first album of what many consider the first rock supergroup, Cream, sets the stage for later heavy rock bands (and by extension, heavy metal bands) with their second album, Disraeli Gears. Though there were many influences that spawned hard rock and heavy metal, Cream had a significant impact on many such younger rock musicians. 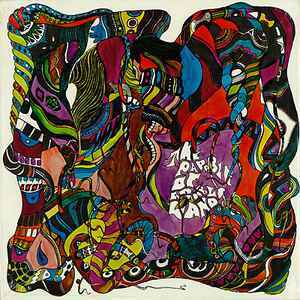 Other notable albums, many heavily psychedelic (and some incorporating elements of free jazz) were released by groups such as 13th Floor Elevators, The Aggregation, Ten Years After, AMM, Chocolate Watchband, Clear Light, Country Joe and the Fish, The Grateful Dead, Kaleidoscope, Mesmerizing Eye, Moby Grape, Orbital, Pearls Before Swine, Red Krayola (The Parable of Arable Land), Rupert’s People, Sagittarius, The Seeds, Sly and the Family Stone, Sopwith Camel, Spontaneous Music Ensemble, Steppeulvene, Strawberry Alarm Clock, The Animals, The Beethoven Soul, The Box, The Ceyleib People, The Easybeats, The Factory, The Fire Escape, The Freak Scene, The Incredible String Band, The Lefte Bank, The Motions, The Serpent Power, The Smoke, Smoky Robinson and the Miracles, The Turtles (Happy Together), The West Coast Pop Art Experimental Band, The Yardbirds, Thomas Edisun’s Electric Light Bulb Band, Vanilla Fudge, and various more accessible or highly commercial groups like The Association, The Grass Roots, The Ventures, The Monkees (put together for a U.S. television series), and The Young Rascals. This only scratches the surface. I have not mentioned artists like Albert King (Born Under a Bad Sign), Nina Simone, Miles Davis, John Coltrane (Expression), Sam Rivers, Charles Tyler (Eastern Man Alone), Bill Dixon, Blue Mitchell, Freddie Hubbard, Gary Burton, Graham Collier, Herbie Mann, Roland Kirk, Marvin Gaye, Magic Sam, Otis Spann, John Mayall, Miriam Makeba, Van Morrison, Stevie Wonder, Buddy Tate, and many others, some of which I have covered in previous “Fifty Year Friday” posts: there are a number of incredible jazz albums as well as blues, rhythm and blues, and soul music albums. Though the term progressive rock is more formerly applied to many of the more adventurous and classically influenced bands of the early 1970s, for my money 1967 was the childhood of progressive rock with the birth perhaps occurring in 1966 with Beach Boys Pet Sounds, the Beatles’ Revolver and many psychedelia-tinged albums released in 1967, but recorded at the end of 1966. I challenge anyone to deny the progressiveness of Jimi Hendrix, The Beatles, Procol Harum, Van Dyke Parks, or even groups like The Who, The Beach Boys, or The Doors. This was a vital period in the expansion and diversification of rock music, the like of which has not been seen since. Fortunately for us, even albums that were nearly impossible to get a hold of in 1967 are now relatively readily available, not only on CD, or in some cases freshly, pressed LPs, but also available through streaming services or on Youtube. Most importantly, have a happy and fulfilling 2018, and don’t neglect to broadly explore the immensity of great music available to those of us alive today.